Why is a Software Company a Lead Partner of the Prix Galien USA? Oracle Health Sciences’ eClinical software powers the vast majority of of Prix Galien USA winners and nominees. The Galien Foundation spoke with Steve Rosenberg, Senior Vice President and General Manager of Oracle Health Sciences, and Alison Shurell, Global Head of Marketing for Oracle Health Sciences, about their company’s partnership with Prix Galien USA since 2009 and what it means that their software is integrally linked to so many nominees and the research behind them. What motivates Oracle to be a lead sponsor for the Prix Galien USA? Oracle’s play in this is a natural question. We’re not researchers, we’re not scientists. None of the Prix Galien jury members are software guys. But there’s not one capability, not one drug, not one data analysis that would be possible without the technology that Oracle provides. We may not be the only ones that provide it, but I think we’re the best at it, and it’s important that we’re in the conversation. Most of the renowned researches and scientists speaking at the Galien Forum and on the teams behind the Prix Galien nominees and winners don’t even know that they use Oracle products. Honestly, I like it that way. I’d like us to remain invisible to the people that are trying to cure disease. It’s a point of pride for us that the data management and mining feel like the easy part. We want the focus to be on questions like: How do you get patients to join a clinical trial? How do you distribute the drugs? How do you manufacture the drugs in small lots? Every year we ask the question, “Is supporting the Galien Forum and Prix Galien USA worth the money?” And the answer – for nine years – has always been yes. Because it’s critical that we be part of the cutting-edge conversation about life sciences R&D – innovation for human health, including the technology that supports it and the types of issues researchers, patients, policymakers, and life science companies are wrestling with. And the best of the best come here to have that conversation. In this day in age, software goes hand-in-hand with just about everything, including clinical research. Software (like our eClinical Solutions) that can shave weeks or months off certain timelines represents tremendous cost savings. More importantly, the right technology also helps get drugs to market faster while enabling the R&D process to capture new insights and trends to help researchers make decisions about how and when to pivot or redirect resources. The Galien process helps us see the real impact of what our customers are doing and how important and significant it is to save them time and create more meaning from the data. The Galien Forum and Prix Galien Awards serve as an important moment every year to reinforce why we’re continuously working to make the software—a key engine and enabler for life science innovation—better. What does it mean to you when your customers are nominated or win Prix Galien awards? The 2015 Prix Galien USA award for Merck’s Keytruda – a drug to treat advanced melanoma that tests positive for the protein PD-L1 – stands out the most for me. Merck’s entire PD-L1 program was run with our software from beginning to end. We engaged with numerous patients through this experience. But this one hit home because we have colleagues at Oracle whose loved ones took Keytruda, and it saved their lives. The positive impact of that drug has been phenomenal, and it meant a great deal to us that literally every single clinical trial Merck has run on that program was done with our software. It was important that that innovation, and the amazing R&D efforts that went into it, were recognized with a Prix Galien award. Over the years, the drugs that we’ve supported directly with our software have made a huge difference in people’s lives. The R&D process is characterized by important “failures” along the road to a successful innovation. What role does eClinical software play in making the most of these failures? 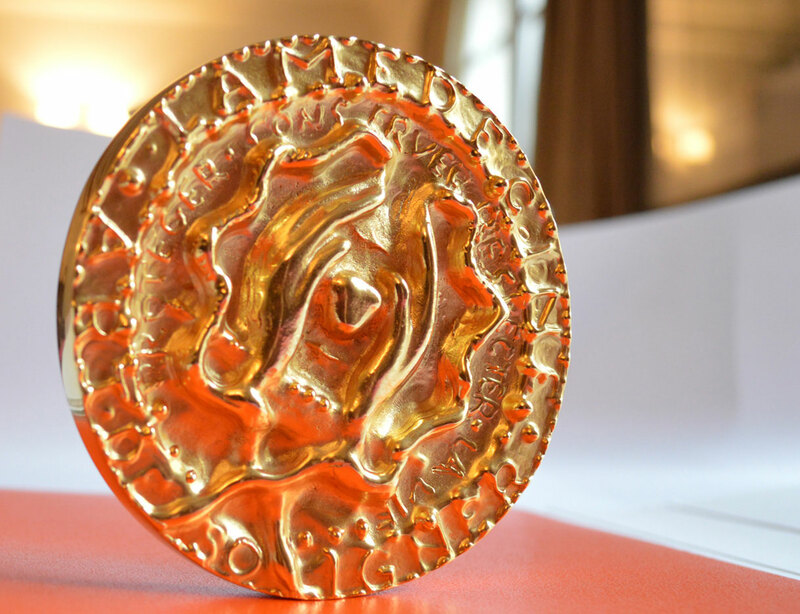 The research teams honored and recognized by the Prix Galien have experienced many bumps along the road to their success. Indeed, most products in the health R&D pipeline don’t make it to approval. Oftentimes, research for products stops at Phase I or II. That’s part of the health innovation process and why the successes are so meaningful. For companies doing clinical R&D – our customers – the goal is to fail fast and efficiently, and learn as much as possible each time. Our software enables this speed and efficiency, and it has transformed the learnings and insight from failures into fuel for the overall clinical innovation ecosystem. At Oracle Health Sciences, we often remind ourselves that, “the patient is waiting.” It’s a mantra we keep in mind at all times. That’s why we’re doing what we’re doing. What is the return on Oracle’s investment (ROI) in the Prix Galien USA? The access to Nobel Laureates and industry leaders are great, but we have that already. The key ROI for us is, very simply, that supporting the Galien process means we are talked about more. Greater awareness among the science and research elite that Oracle is a big player in this industry is really what this is about. When I tell people I run Oracle Health Sciences, few of them (including some of our customers) know what that means. It would be nice if I didn’t have to explain it. Engaging in the Prix Galien process helps a great deal with that. To Steve’s point, many of our existing customers don’t know on an individual level that they’re using Oracle – that our software is the engine underneath a lot of their work. Our customer base is the Galien community, and our sponsorship of the process elevates awareness of our prevalence – awareness that we are helping researchers all over the world along the innovation journey every day. At the Prix Galien USA awards ceremony, it is humbling to hear about the work this community is doing. It is gratifying when so many of our customers are nominated and win – to know that our software powers so many positive results for them, and for the life sciences more broadly.